This tester uses rechargeable batteries and is supplied with a charger - unlike most other battery powered testers which have to be fitted with Alkaline Batteries! 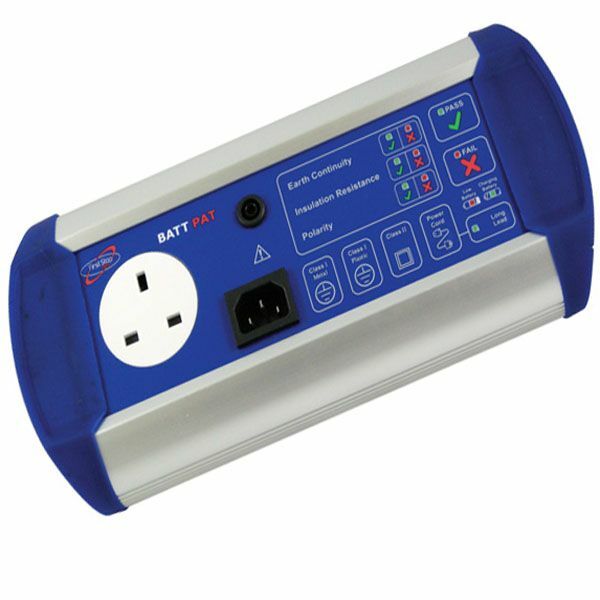 The BattPAT is powered by a rechargeable battery, inside the tester. This is recharged via the mains charger, or for you mobile PAT testers out there - an optional Car Charger! We have used this machine extensively, and find we can get at least 400 tests out of one charge - that's easily more than enough for a day's work. Full recharge using the supplied charger takes about an hour from flat. You might wish to consider our In-car Charger for the Batt PAT if you need to recharge, whilst travelling.